Use the syringe to collect the paint. Select the long handle – collect the axe. Attach the nipper parts using the screw. 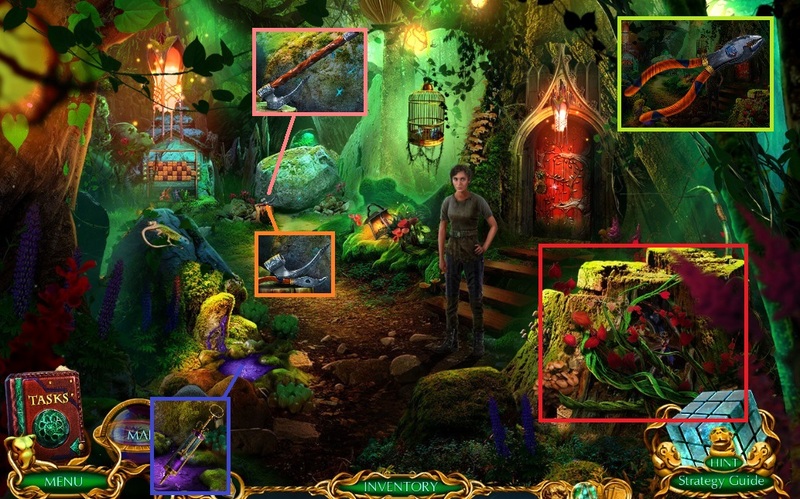 Select the axe to trigger a hidden objects area. 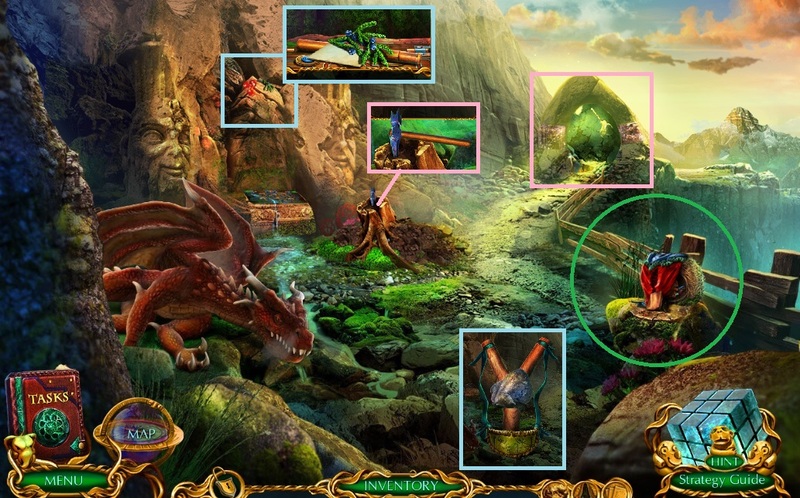 Select the nippers to collect the stone animal head & brass key. Insert the brass key – collect the handle. Select the star inlay – move into the Tree Hollow. Attach the handle onto the scraper part. 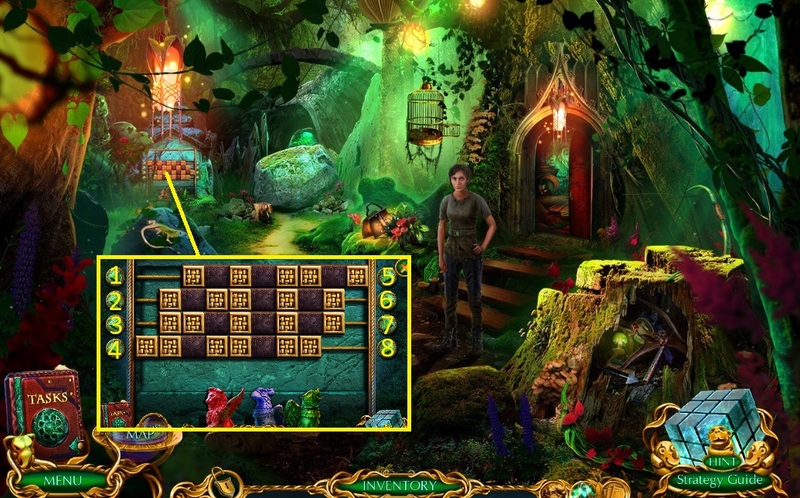 Select the wooden post – collect the lock pick and stick. 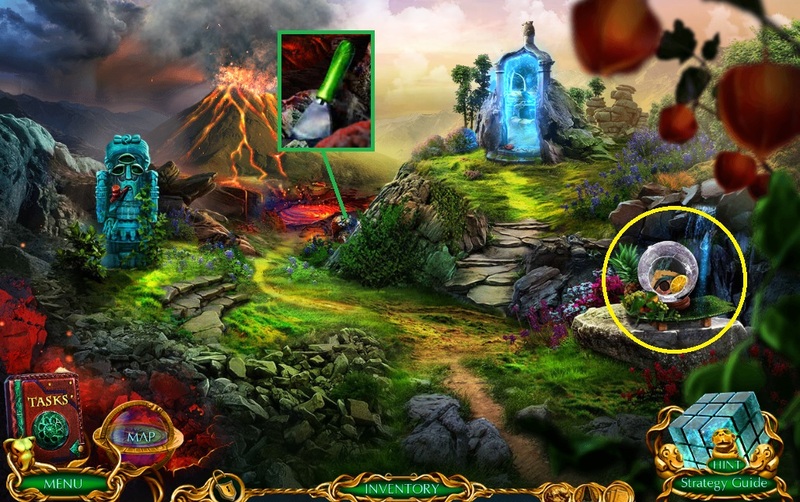 Use the lock pick – collect the gaff & stone animal head. Select the syringe with paint to trigger a mini game. Solve the game by coloring the painting to match the image. Collect the oil & move to the Thicket. Place the stone animal head to trigger a mini game. Solve the game by moving the heads to the correct bodies. Collect the stamp – move to the Tree Hollow. 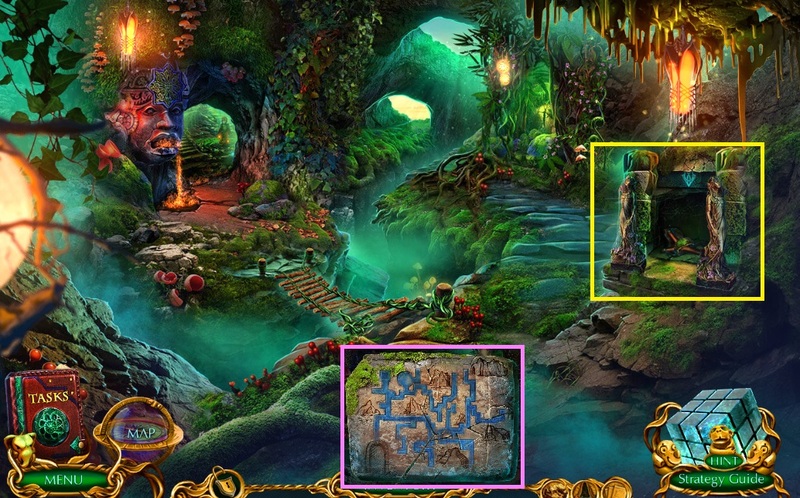 Place the stamp – collect the runes. 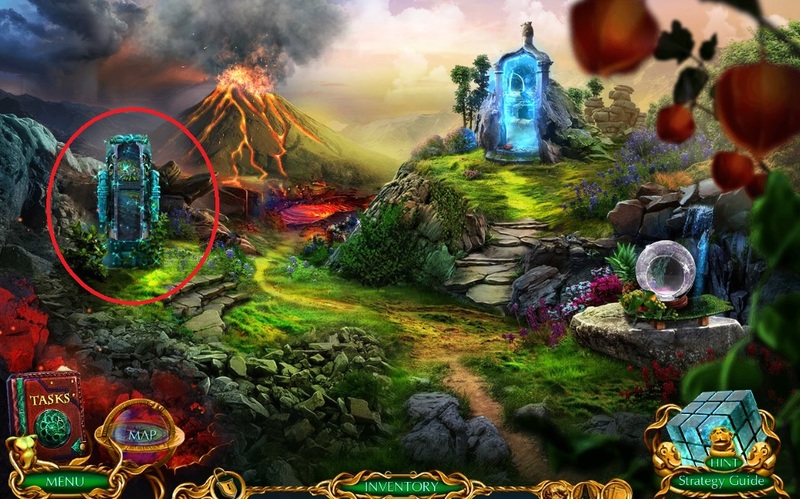 Place the runes to trigger a mini game. 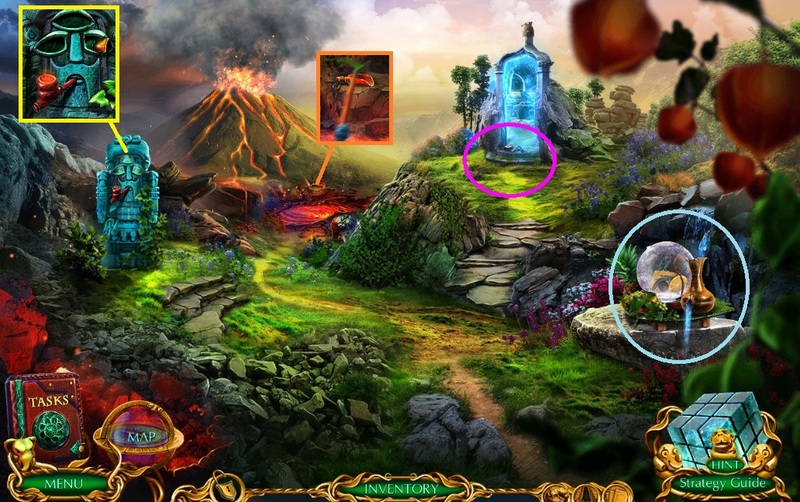 Solve the game by locating the runes on the rock. Move to the Tree Hollow. 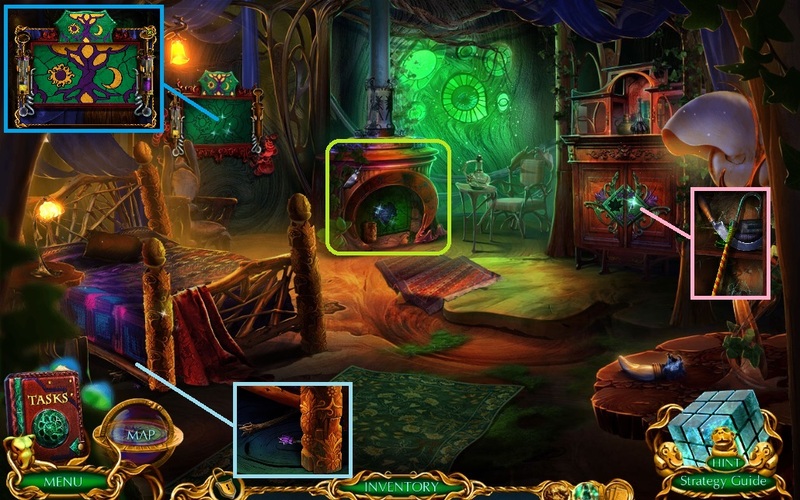 Insert the blue inlay to trigger a hidden objects area. Collect the flint & steel & resin. Use the scraper – collect the moss. Use the moss – oil, flint & steel on the stick. Collect the crowbar; use the sickle to collect the vine. 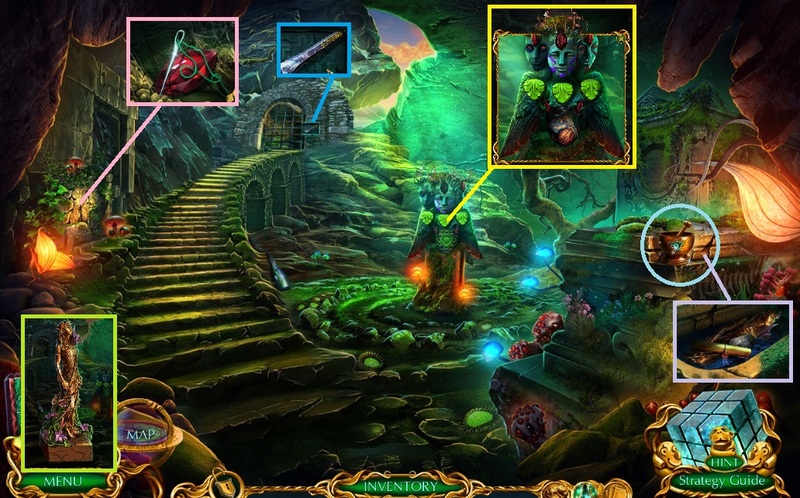 Collect the elven statue part – use the gaff & vine on the bridge. Select the hammer – insert the stone inlay. 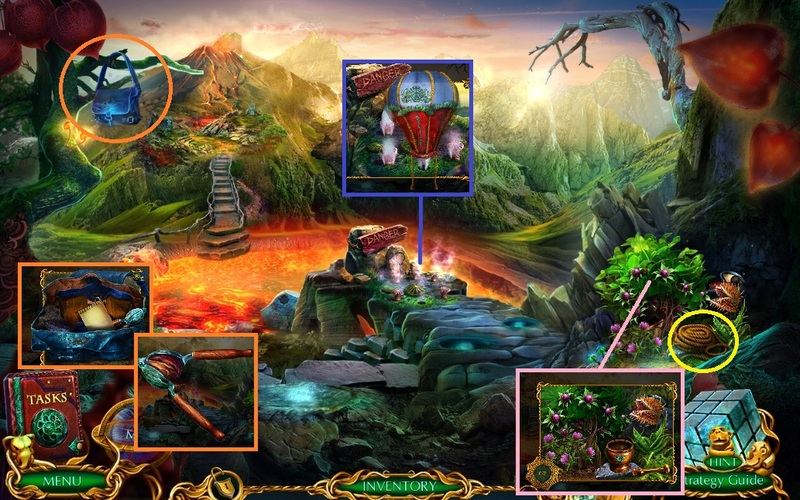 Select the torch – collect the map part. Collect the mortar & pestle. 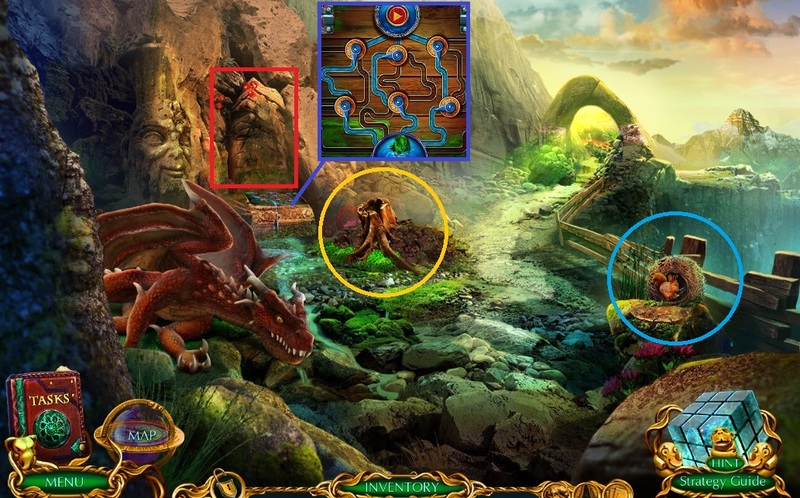 Use the crowbar – collect the rock & elven part. Use the resin to repair the elven statue. 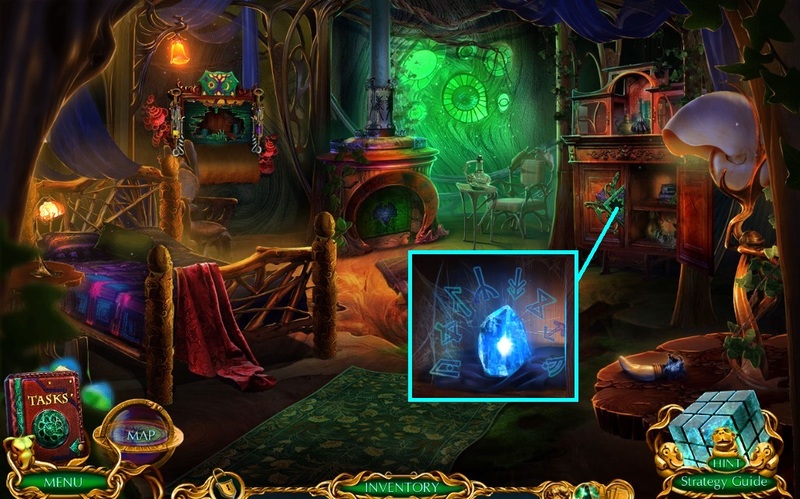 Collect the chisel & use it with the hammer to collect the needle & thread & pink crystal. Use the pink crystal to trigger a mini game. Solve the game by repeating the sequence of the eye movement. Collect the nut and map part. 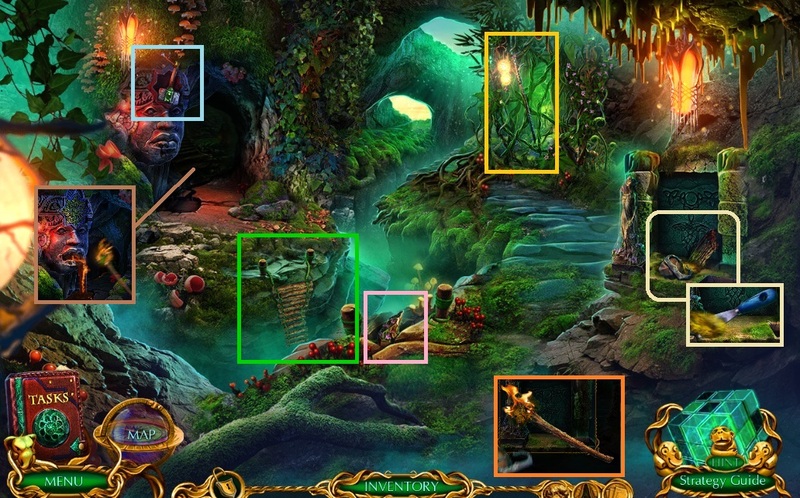 Place the elven statue – collect the broken slingshot & map part. 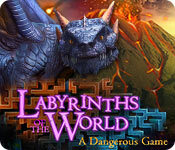 Use the labyrinth map to trigger a mini game. Solve the game by guiding the token correctly. Use the needle & thread – collect the deflated balloon & sling. Place the sling and roc into the broken slingshot – use it. 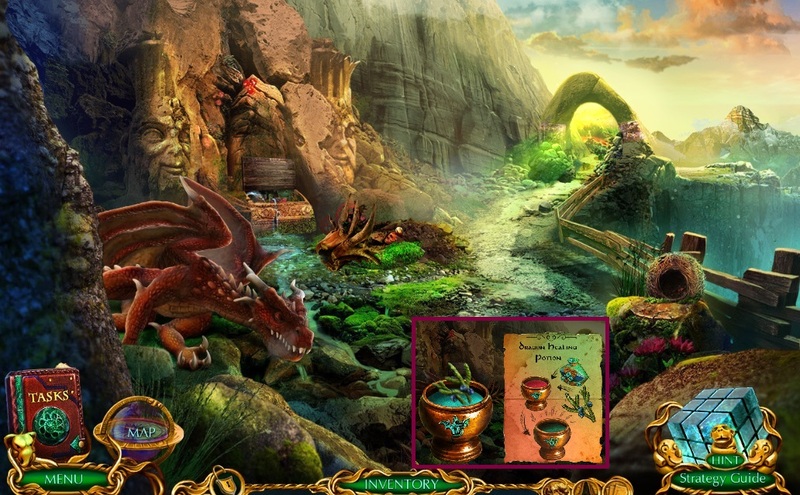 Collect the juniper, the handle & the dragon potion recipe. 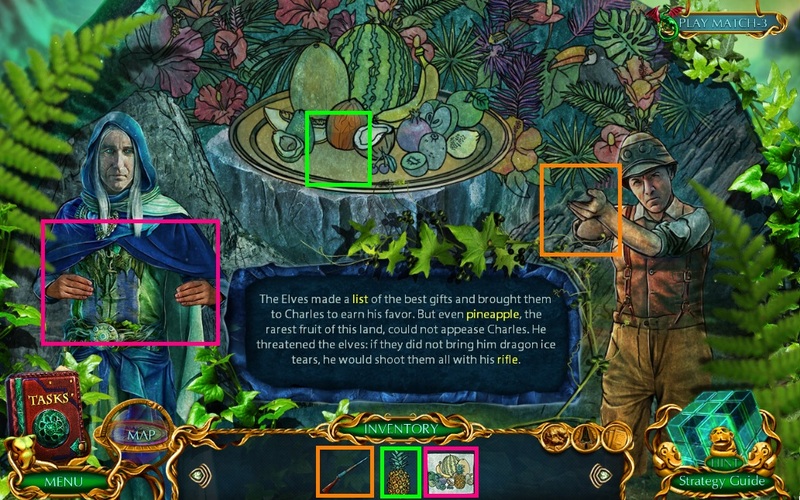 Collect the rope – use the mortar & pestle to collect & crush the berries. Inflate the deflated balloon & use it to collect the bag. Collect the nutcracker & use it to collect the nuts. 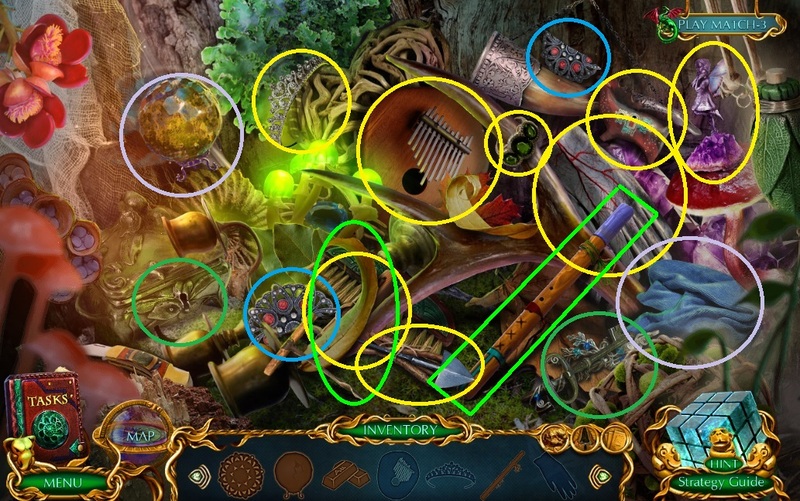 Select the nuts – collect the unfinished stone plate & small arrow. Use the rope – collect the lighter & small arrow. 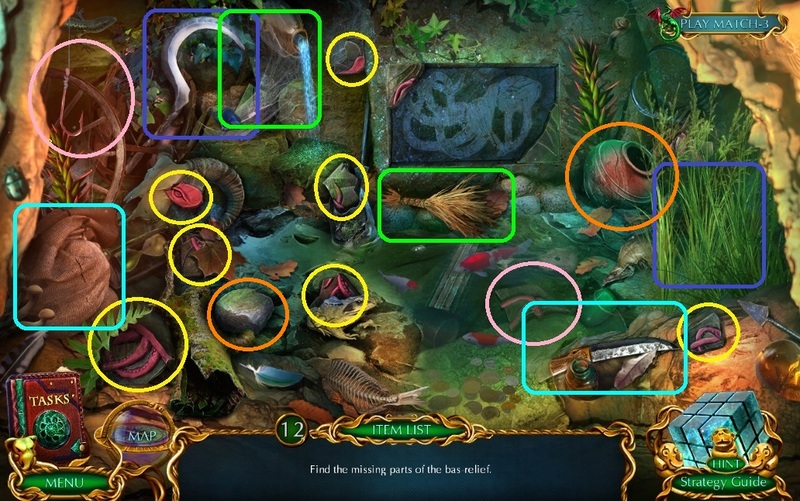 Use the small arrows to trigger a mini game. 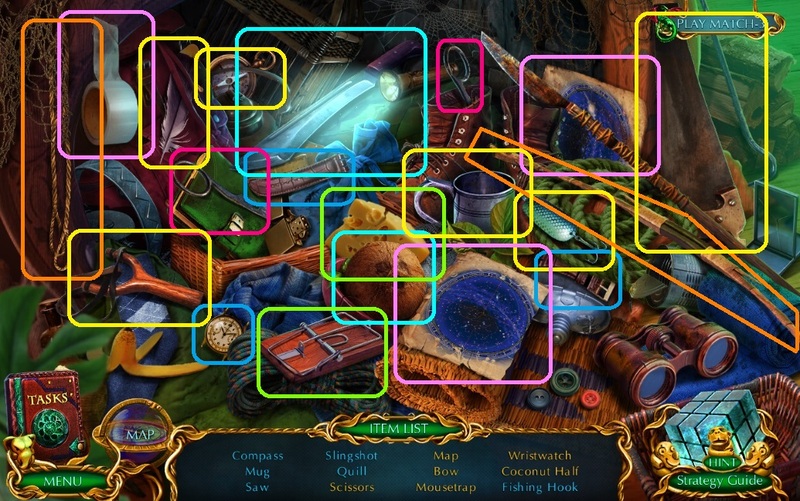 Solve the game by arranging the arrows correctly. Create the dragon potion & use it to collect the plug. Move to the Dangerous Trail. Use the plug to trigger a mini game. Solve the game by clicking the plugs correctly; collect the key. Insert it into the bag key & collect the forked stick, glove, glue & patch. Select the glove to collect the cane & plate stone. 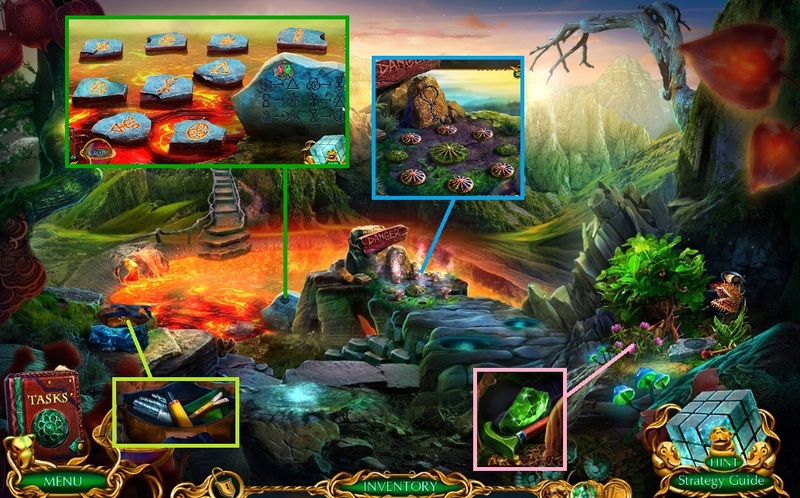 Use the plate stone to collect the stone plate & use it to trigger a mini game. 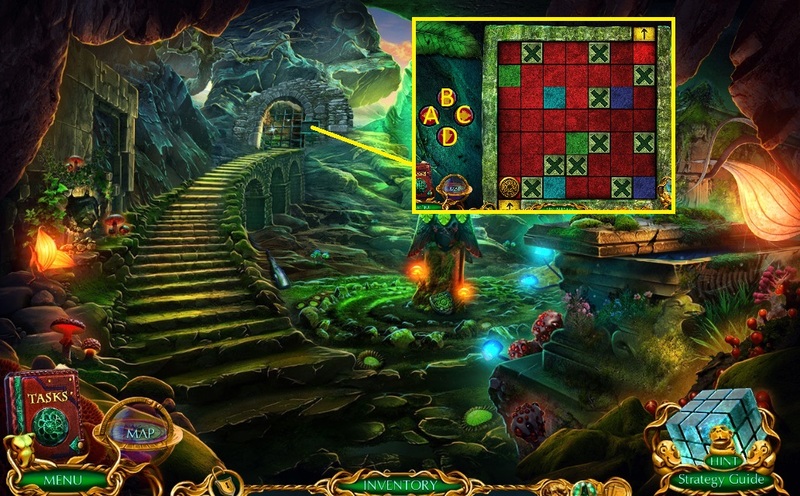 Solve the game by selecting the stones correctly. 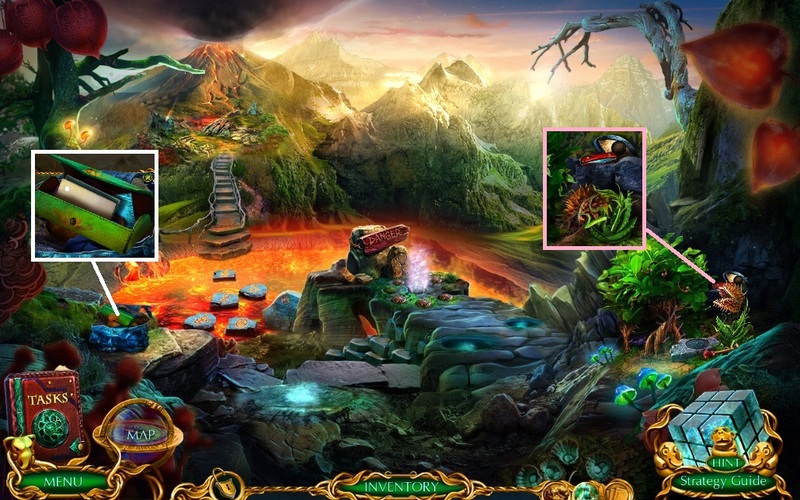 Collect the idol eye & broken amulet. Select the cane to collect the scoop. Select the lighter – collect the glue & patch; use it to collect the jug of water. Select the scoop – collect the dry clay, chisel & diamond. Place the diamond on the forked stick. Pour the jug of water on the broken amulet & dry clay. Select the diamond stick – collect the lemon & idol eye. Select the chisel – collect the scraper. Select the scraper – collect the peeler & sleeping pills. Select the sleeping pills – collect the knife & idol eyes. 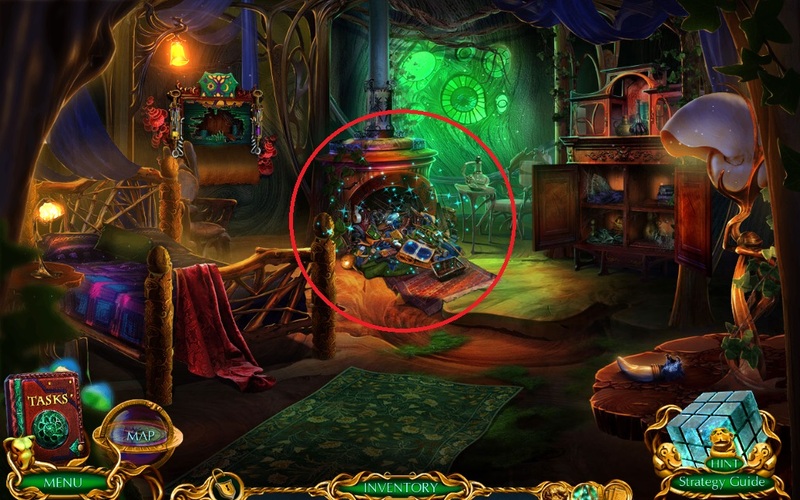 Insert the idol eyes to trigger a hidden object area. Select the wet clay & ice tears – collect the portal amulet. Use the portal amulet to move ahead.